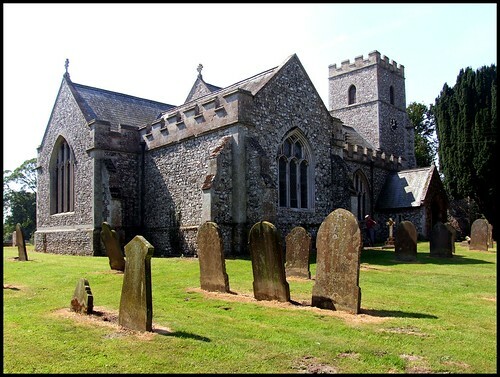 As Simon Jenkins famously observed, the parish churches of England constitute the world's largest folk museum. 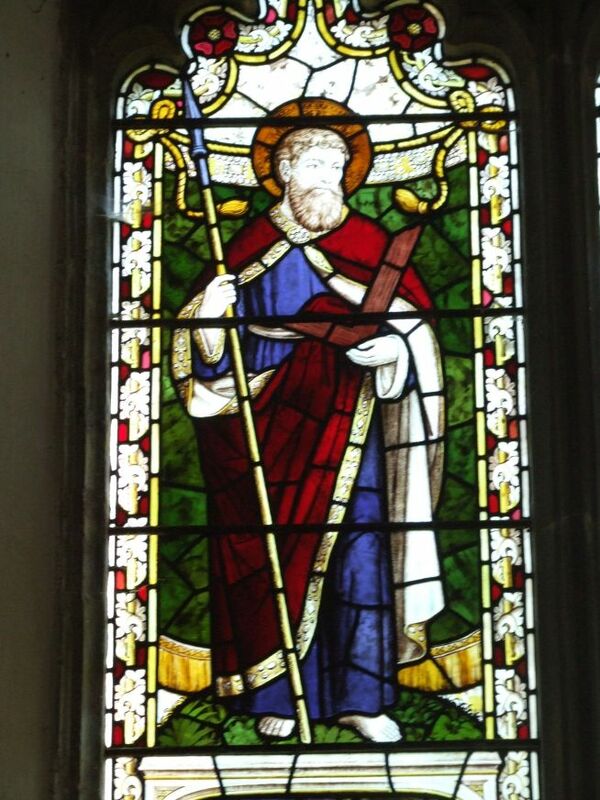 Some parishes are not entirely comfortable with this, prefering to be seen as spiritual touchstones and Houses of God, which is certainly true of many of them. In any case, the two things are not mutually exclusive. 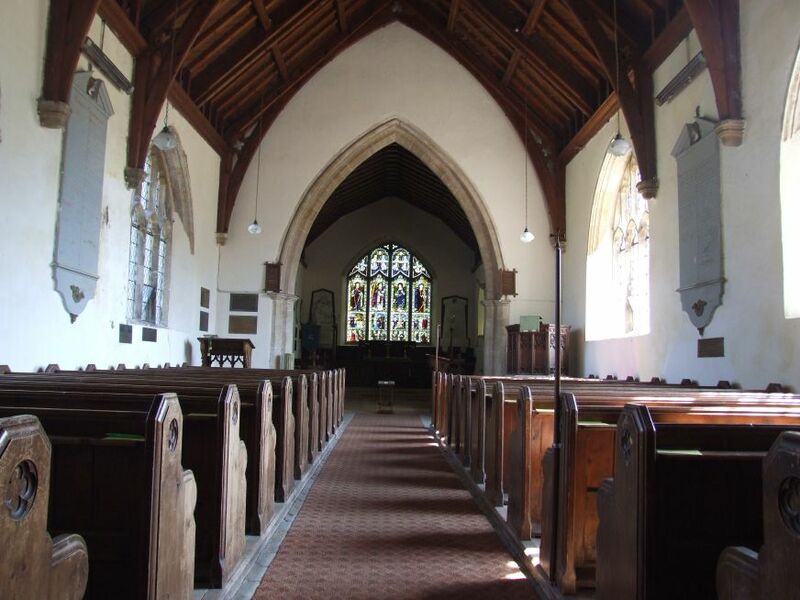 Still other parishes keep their churches locked from one end of the week to the other, preserving them as the splendid, subsidised venues of the Sunday club - but the less said about them the better. West Acre, I will say immediately, does not fit into this final category, and while it may not be as famous as its neighbours, the grand Castle Acre and the beautiful South Acre, and while it is certainly a spiritual touchstone, here is a church that tells us more than most churches do about the life of its parish down the long generations; a a folk museum indeed. Although we are barely a mile from the middle of touristy Castle Acre, the lanes and fields here feel particularly remote. At one time, there was a priory here, and the gateway sits immediately to the west of the church. 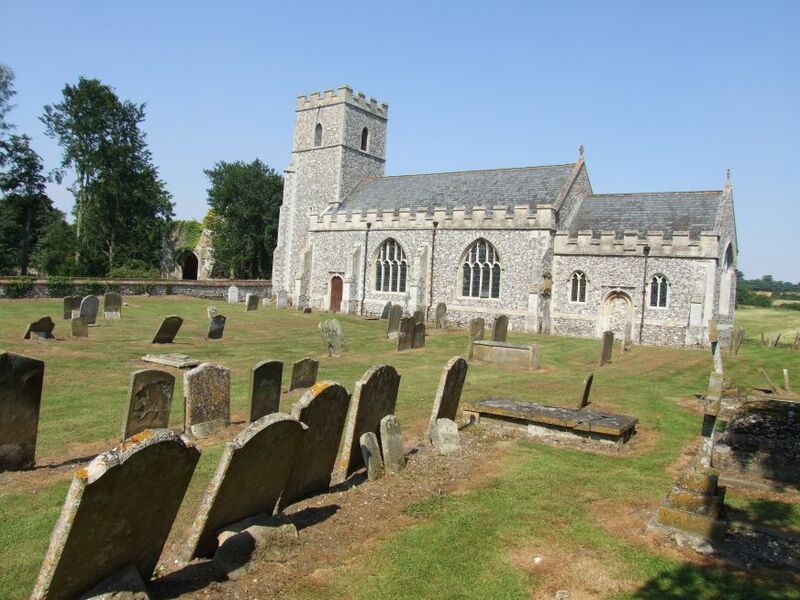 The church itself is rather striking, because it was substantially rebuilt in the early years of the 17th century, an unusual date. The style is essentially Perpendicular, but this is very late Gothic Survival rather than very early Gothic Revival. The north side of the building, with its large porch and vestry transept, sprawls comfortably like a sleeping lion. The south side is rather starker, and the long wall abutting the tower a curiosity. 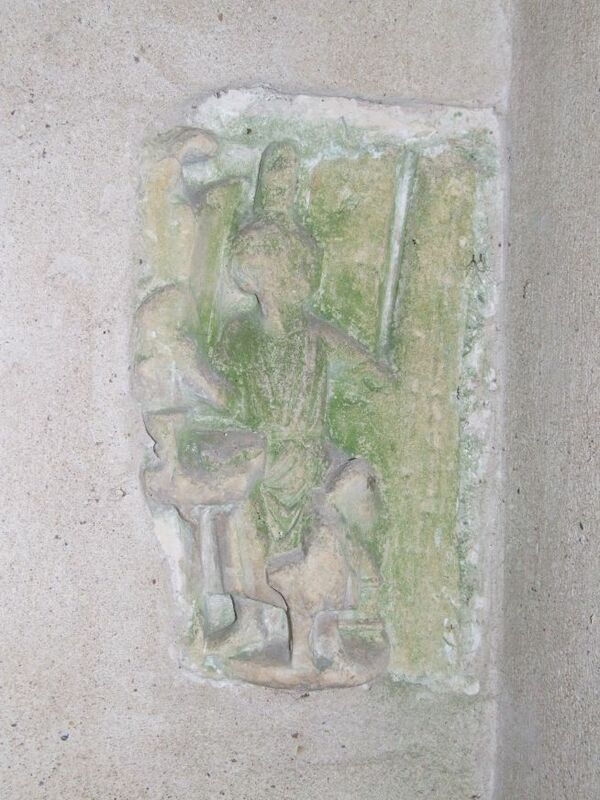 The rebuilding was at the behest of Sir Edward Barkham, whose fantastic tomb we have already come across at South Acre. 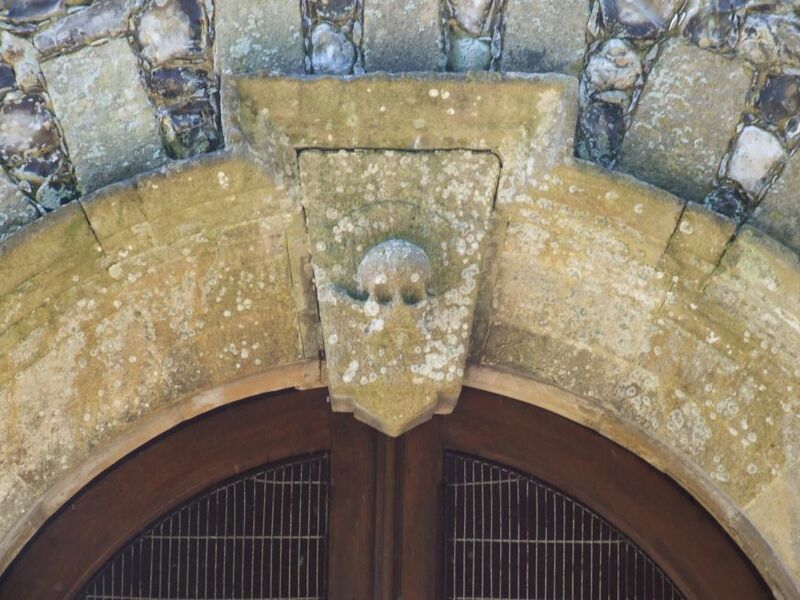 His death head symbol is placed above the entrance to the porch, which contains a 13th century relief sculpture which must have come from the priory originally. The clock on the tower exhorts us to Watch and Pray. You step into a well-kept, largely restored interior, with a feel of the late 19th and early 20th centuries about it. On the west wall are several WWI memorials, including a quaint roll of honour, and there are several other memorials to WWI deaths around the church - this parish appears to have lost a disproportionately high number of its young men. The church has also an unusually large number of 18th and 19th century memorials. Many of these are to the Hamond family. Their brass plaques from several generations line the north wall of the sanctuary, and construct a fascinating picture of a single family over the course of the 19th century. 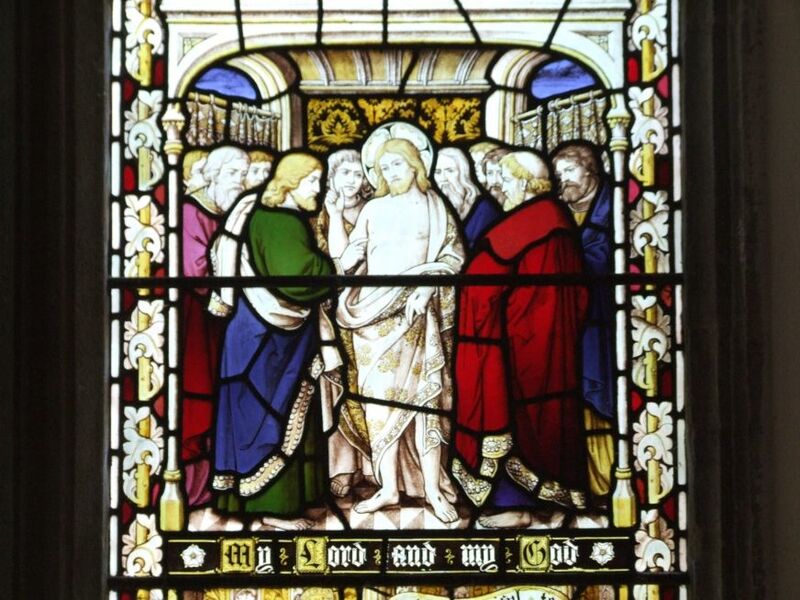 The best thing of all is that you cannot only read about them, you can actually see some of them, because the east window which remembers them features images of four of them along the bottom. From the left, they are Richard Anthony Hamond, Curate of St Paul's Bethnal Green, who died on the 24th of October 1894, aged 26; Lewis Hamond, who was born on the 15th October 1860, and died at Pincher Creek, Canada, on 14th February 1900, aged 39; Robert Nicholas Hamond, Commander, Royal Navy, who was born on the 15th of May, 1844, and died on the 11th May 1894, aged 49; and the father of the first three, Philip Hamond, who kneels with the High Priest Melchizidek. Aside from being of great interest, this window is excellent. 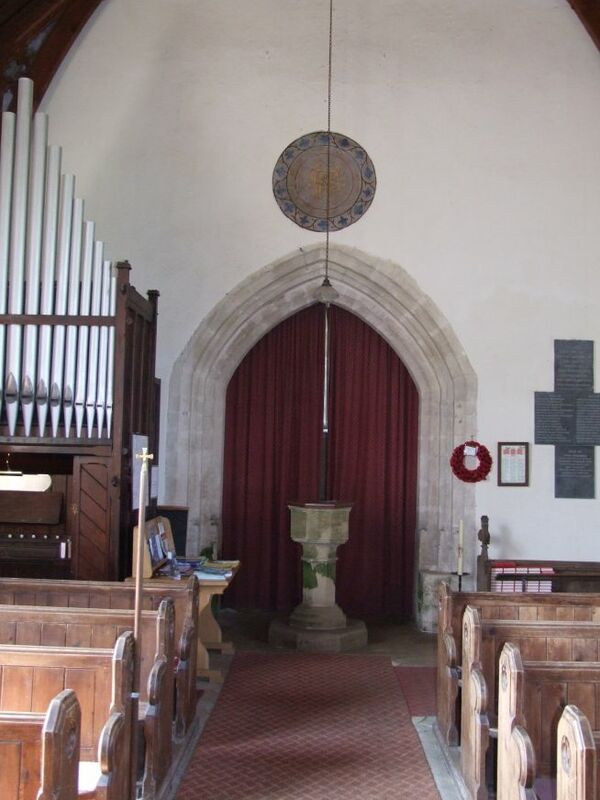 It is by Burlison and Grys, and was installed in 1907. 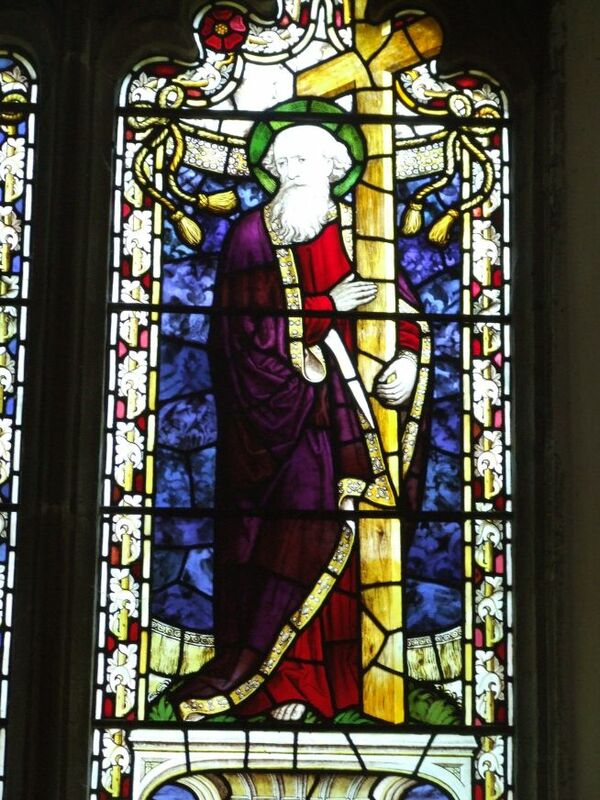 It features a central Annunciation flanked by St Thomas and St Matthew, with scenes from the life of Christ. The highlight of the church, in my opinion. Elsewhere are memorials to the Hamond, Birkbeck, and other families, including some real curiosities. Thomas Fryer's plaque portrays the flags of Australia and New Zealand. Like many north-west Norfolkers, he was killed at Gallipolli, but in his case this was as a member of a New Zealand regiment, the 4th Auckland Mounted Rifles. Jacob E Brown also Passed from Death unto Life in 1915, but at the age of 63; he was the village schoolmaster. Six years earlier, Gillian Mary Birkbeck died the furthest from home of all. She was a missionary in Japan, and was killed in the city of Kobe, after just one year of work. 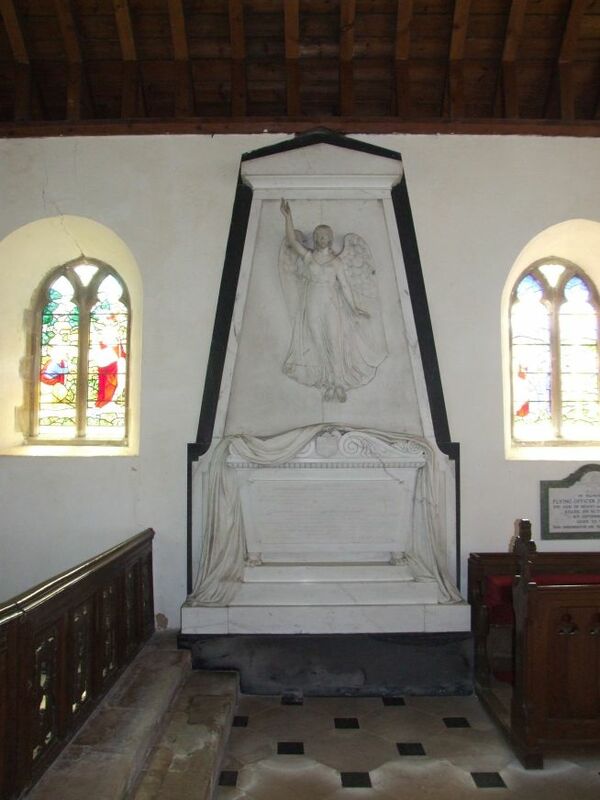 Overlooking all of them is the magnificent angel on an earlier Hamond memorial; serene and superior, she points skywards, as if to tell us where all the Hamonds, the Birkbecks, and all the other families of West Acre have gone.